Amazon’s Autumn Book Harvest is in full swing, with lots of our ebook titles at better than half price. The sale runs until the 7th November, so there’s still time to sniff out the best bargains. We’ve rounded up our featured ebooks so you don’t miss out. 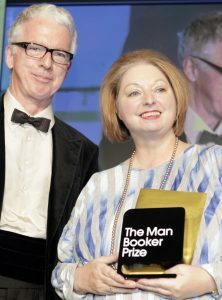 We are absolutely delighted to announce that Bring Up The Bodies has won the 2012 Man Booker Prize, making Hilary Mantel the first woman and the first British author to win it twice. Sir Peter Stothard, chair of the judges and editor of the Times Literary Supplement, made the announcement last night at London’s Guildhall, and said that this year, the award stood ‘for vitality, for fierce intelligence, and most of all for prose’.